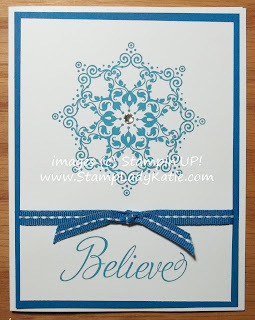 Here is a super simple snowflake card. Are you planning to make your own holiday cards this year? If so, this one would be really easy to mass produce. (see my rules for mass production here). Its as easy as it looks. I stamped the sentiment first and then the snowflake. Then I wrapped the ribbon around the white piece. Then I adhered the layers and the last step was to add the rhinestone. People often ask me what are the basics that people should have in the way of stamp sets. 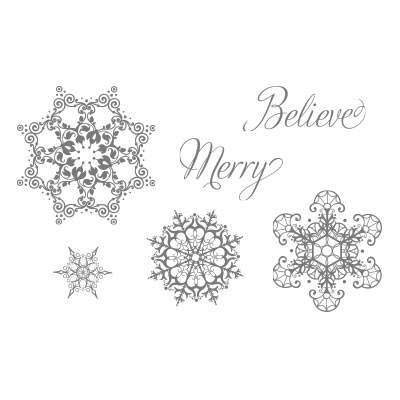 My reply is that everyone needs a good sentiment set, a good flower set and, I think, a good snowflake set. At least for those of us living in the northern climes like Wisconsin. For a good sentiment set I recommend something like Sweet Essentials or Teeny Tiny Wishes. There are lots of good flower sets to choose from. And I really like this snowflake set: Snowflake Soiree. I like that there are lots of different snowflake designs and sizes. I find it really versatile. And I like the script on the 2 words in the set. This was my trade card for my downline meeting. 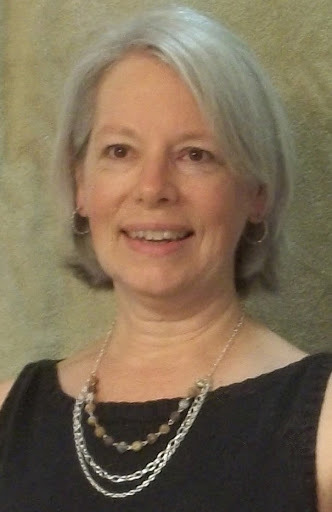 I meet regularly with the people who have purchased the Starter Kit through me. We work on stamping skills, we discuss company specials and promotions. 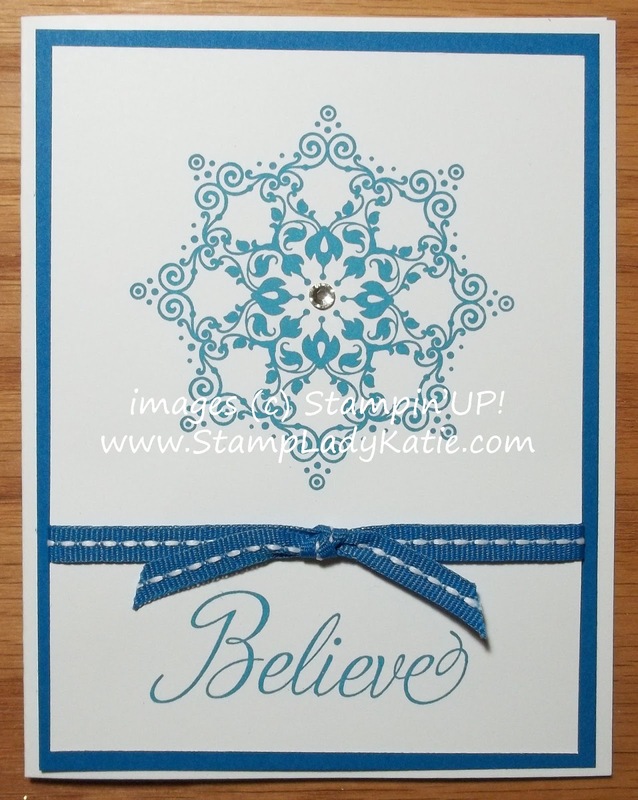 We talk about ways to hold stamping events, we make projects and we trade cards. Not everyone can make the meetings so for people who are not able to attend we make their projects and they get delivered or mailed. They can still participate in the trades and they get a copy of all the business stuff we discuss. Actually I post it all online - we have a private website where we share ideas and where I post meeting hand-outs and agendas. We welcome everyone. Whether you are local or long-distance we'd love to have you join our group. I actively support everyone who buys the starter kit from me, whether you want to be a business demonstrator or a hobby demonstrator I'll help you meet your goals. Actually now is a great time to buy the Starter Kit. 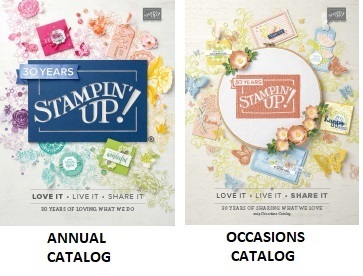 For $99 you get $125 worth of Stampin'UP! 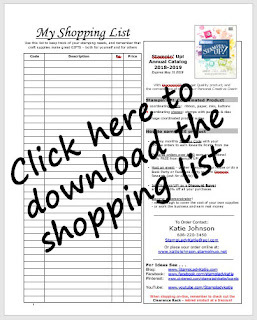 product, you can choose anything you want from either the Main Catalog or the Holiday Mini Catalog (or the Spanish Catalog). You also get $65 worth of business supplies. And from now through Dec 16th you'll also get a FREE set of ink pads, your choice of the Brights Collection, the Regals Collection or the Subtles Collection. The 10 free ink pads have a value of $50. So right now your $99 investment gets you $240 worth of materials. Oh, and did I mention that there is NO SHIPPING on the Starter Kit. You really can't go wrong. And there is NO OBLIGATION to continue as a demonstrator. You can take a FREE 3-Month trial as a demonstrator with no obligation to continue. Click JOIN NOW here. But don't wait too long. Because those 10 free ink pads are only available through Dec 16th. when you HOST a $450 party. Contact me with questions.